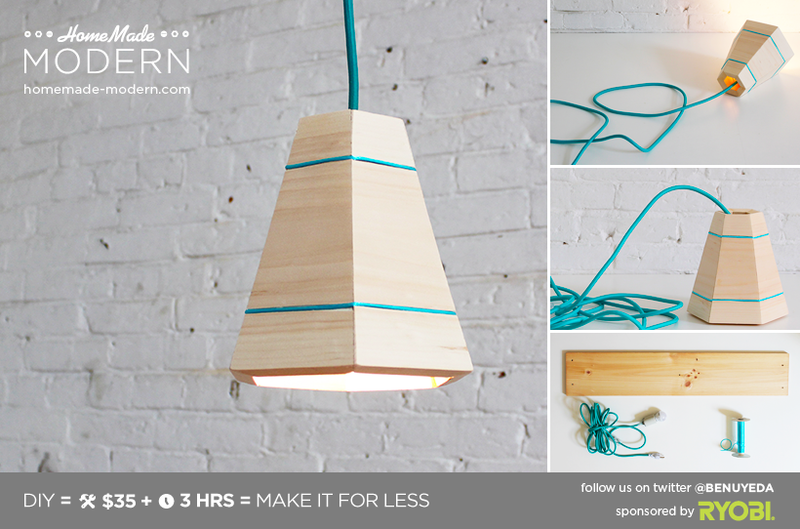 Create a DIY wood pendant lamp from a scrap piece of 3/4" thick pine. 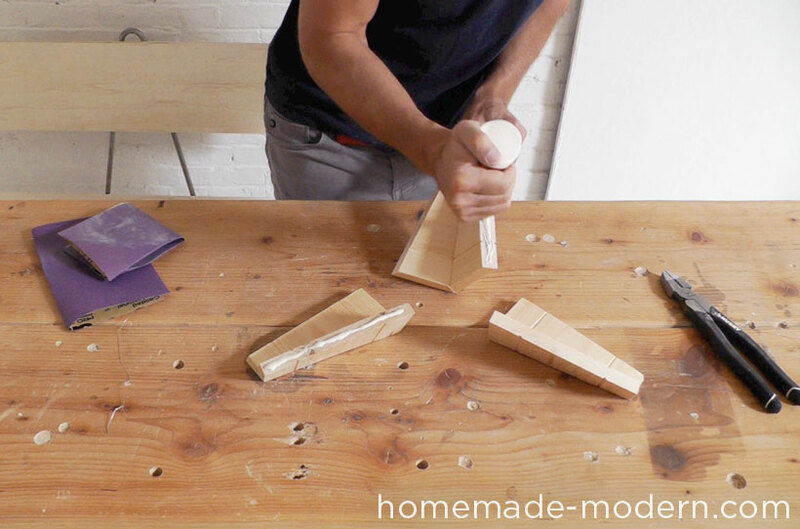 This is a simple project but requires some precise cuts from a compound miter saw. A series of 30 degree bevel cuts produces the 6 sides of the hexagon. 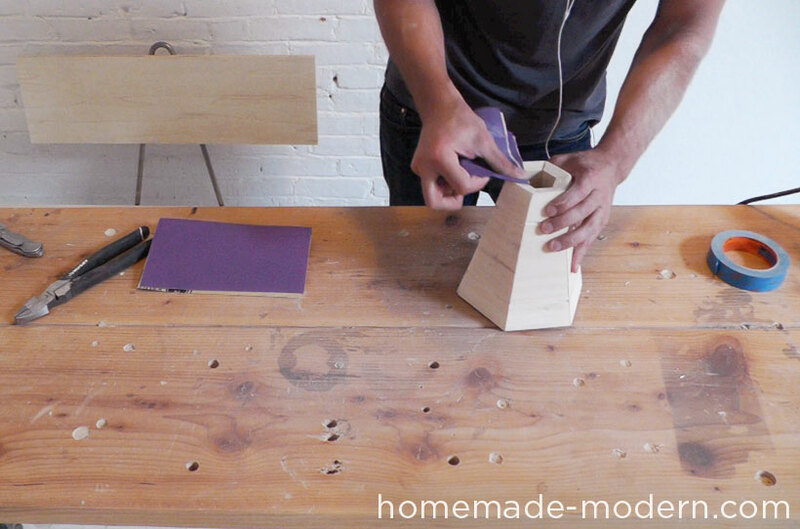 Adjusting the miter fence to make a slight miter cut at the same time gives the hexagonal form a tapered, cone shape. A cutting operation made with the work piece at any angle to the blade other than 90°. A cutting operation made with the blade at any angle other than 90° to the table surface. 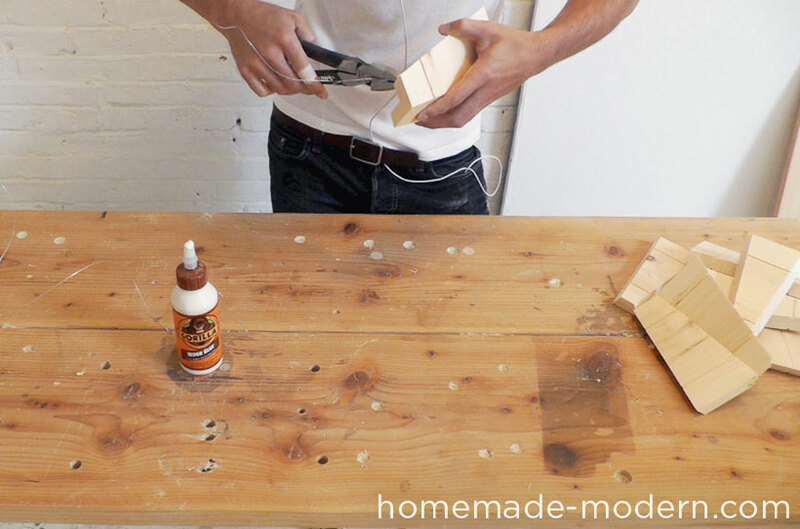 I had some scrap 3/4" thick pine boards – 8" wide – left over from a previous project. You could use any type of wood for this project, but I would start with something cheap like pine until you get the settings on your saw perfect. I used wood glue to fasten the sides together. 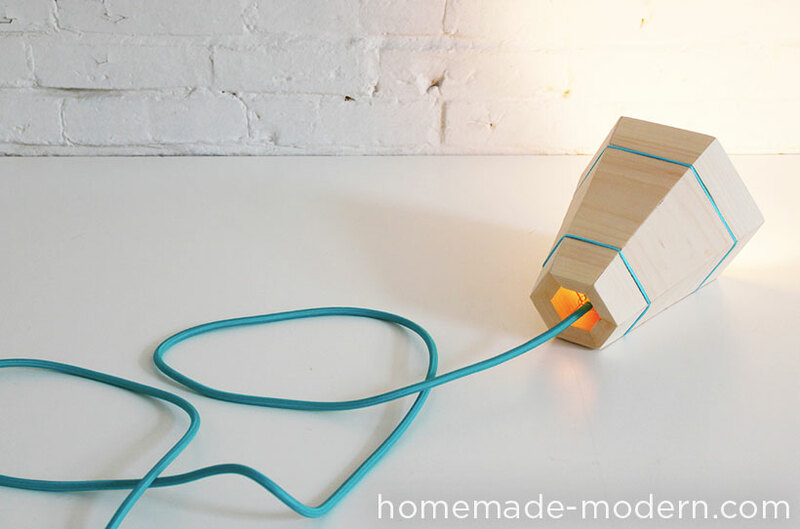 I used a light gauge wire to clamp the sides together while the glue dried and to make a net that holds the socket in the center of the lamp. I used my circular saw to cut two 1/8" deep grooves on each side of the pine board. I screwed the board down to my worktable to keep it in place and used the adjustable edge guide to keep my cuts straight. After cutting the first side, I flipped the board over and cut grooves on the other side. Since I kept the edge guide in the same location, all of the cuts aligned perfectly. 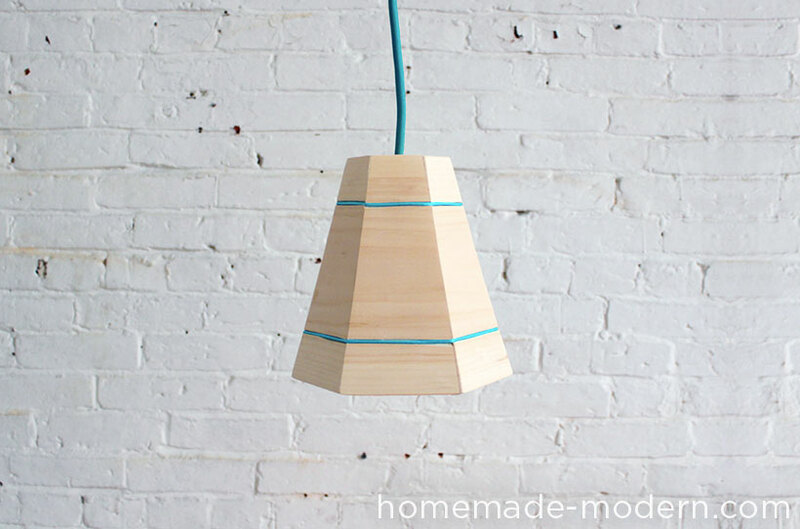 The lamp is a hexagonal cone made from 6 sides. I set the miter saw to make a 30 degree bevel cut and adjusted the miter fence to about a 4 degree angle. The 30 degree bevel cut needs to be pretty accurate in order for the lamp to work. 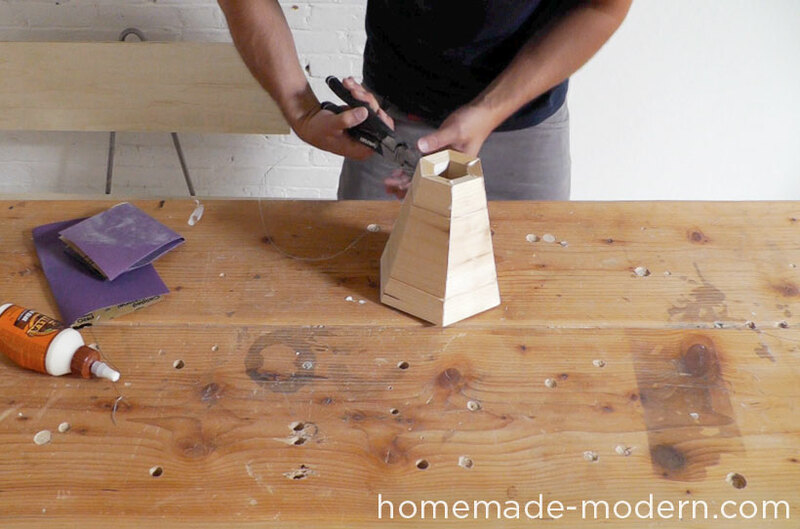 The miter fence can be at a variety of different angles depending on how sharply you want the cone to taper. 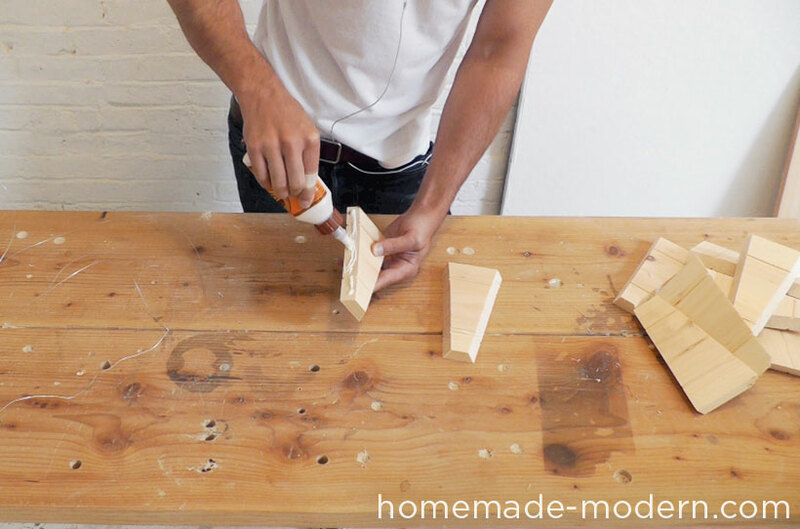 It's hard to glue all 6 sides together at once, so I glued them together in pairs first. I used wire to hold them tightly together while the glue dried. Once the pairs dried, I glued them all together. I used wire, but blue painter's tape works well too. 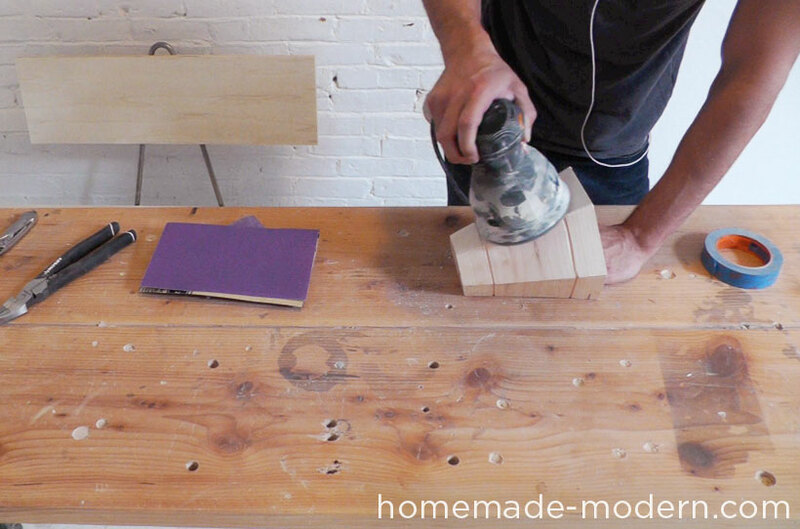 I sanded the flat sides of the lamp with an orbital sander and 220 grit paper. I sanded the ends by hand. 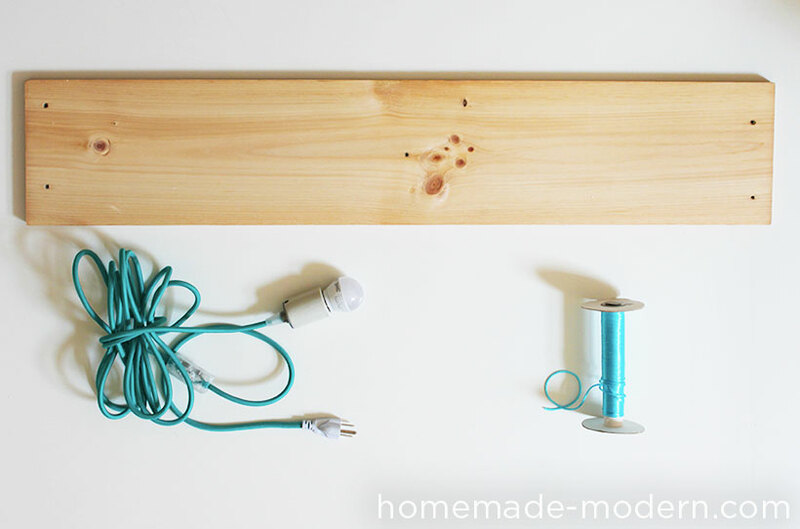 After threading the cord through the wood lamp, I drilled 4 holes in the groove and used wire to make a net that keeps the socket in the center of the lampshade. Push the exterior parts of the wires deep into the groove. 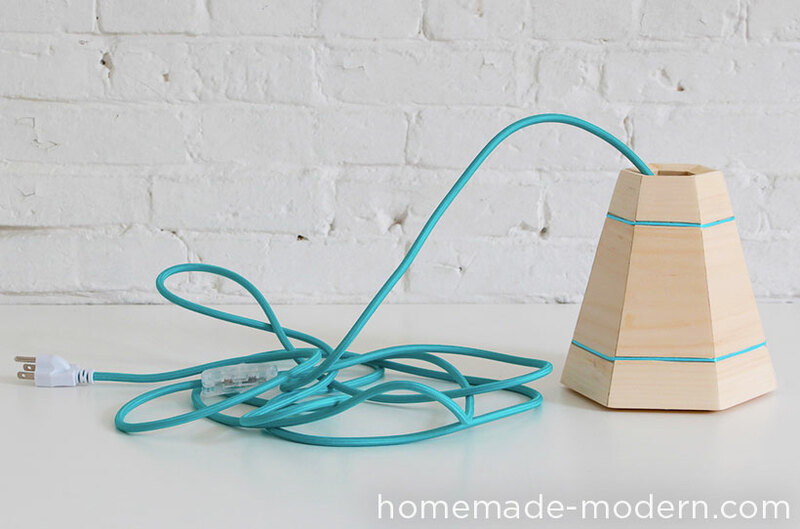 Use the colored silk cord to cover the wires for a nice, bright detail. I drilled a 1/8" diameter hole through the grove and ran the colored silk cord around the groove and through the hole. I tied it in a tight knot from the inside. 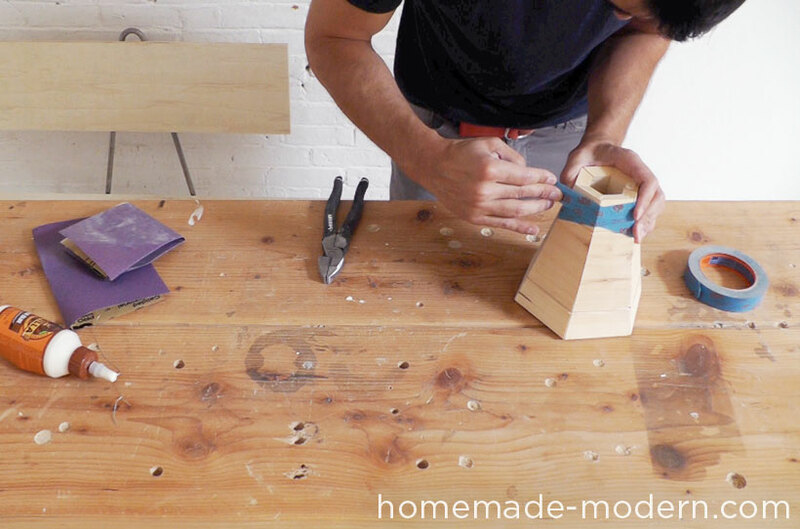 Good luck making your own wood pendant lamp and please email, tweet or hashtag photos to @benuyeda, ben@homemade-modern.com or #homemademodern. For more detailed instructions, dimensioned drawings and different variations of the project, check out our soon-to-be-released book.